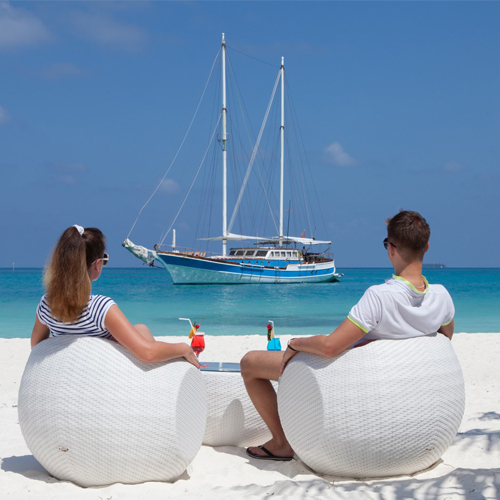 Meeru Island Resort & Spa is not just a resort in our portfolio, they are family to us. Located in the North Malé Atoll, Meeru is 1200 meters long and 350 meters wide, about 32 hectares (80 acres). 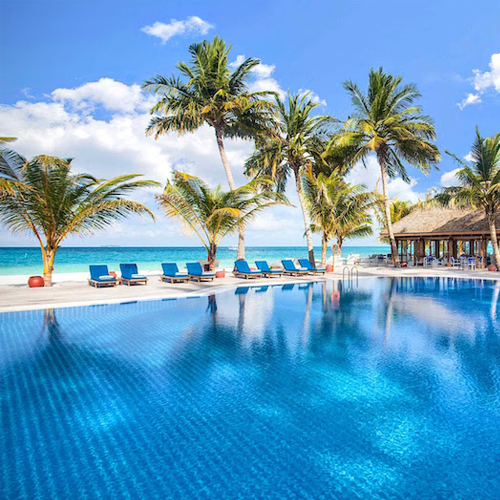 It is a lush tropical paradise full of palm trees, white sandy beaches, sparkling clear warm water in turquoise lagoons and colorful coral reefs teeming with abundant marine life. Island could be reached via seaplane or speed boat. Meeru has 5 room categories to choose from. So this gives the guest plenty of choices in terms of suiting the budget. 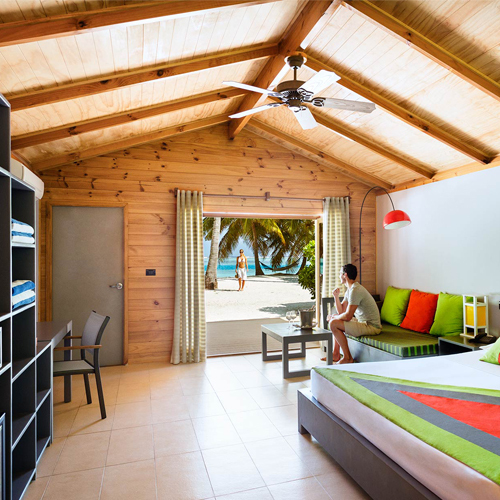 Our luxury pick would be the Jacuzzi Water Villa category, which is perfect for couples. The island is also perfect for your wedding reception. 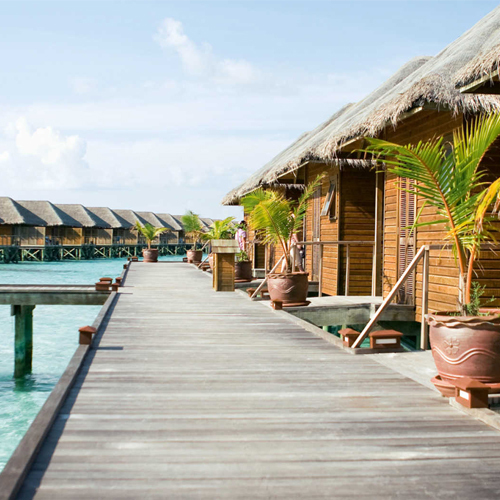 Honeymooners can enjoy a night or two at the special Honeymoon Water Villa Suite, which could only be reached with the famous, traditional Dhoni boat. Another exciting offer would be the All-inclusive Plus package, specially for the ones who'd like to have a few shots extra. There are plenty of entertainment options and activities available in the island. Snorkeling, scuba diving, as well as soccer games in the evening are a must for those who would like some action during the stay. Kakuni Bar and Dhoni bar both offers live entertainment 7 days a week. Multiple dining options are available in different parts of the island. An adults only pool area is located in the island as well.